The first time I tried to read The Water-Babies I was 7 or 8 years old. I was sitting on a beach near Margate, during a summer when my other reading had mostly been American comics: Spiderman, Superm an, and the rest. Then I opened up a strange story about a hidden underwater world, in which a young chimney sweep is transformed into a newt-like baby who swims around the world righting wrongs, and eventually discovers that the most important battles are inside him. He was like a tiny Victorian superhero. The back of my comics usually carried an advertisement for ‘Sea Monkeys’: little marine creatures that (according to the somewhat fanciful illustration) were as exotic as mermaids and as orderly as the inhabitants of an ant farm. 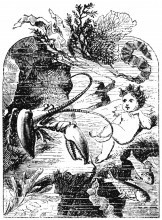 And The Water-Babies was no less confused and confusing; it was a scientific treatise, a fable about self-improvement, and a modern fairy tale, all crammed into less than 200 pages. I was hooked. 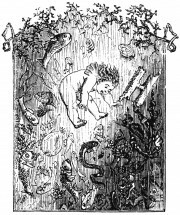 This year The Water-Babies is 150 years old, an event marked by a special anniversary edition published by Oxford University Press that will allow a whole new generation to dip into Tom’s strange underwater adventures. Celebrating the man who wrote it is slightly harder. Few writers are as puzzling and eccentric as Charles Kingsley, and trying to pin him down is like putting your thumb on a blob of mercury. In some ways he was a pillar of the establishment, serving at various times as Cambridge’s Regius Professor of History, chaplain to the royal family, Canon of Westminster Abbey, and private tutor to the Prince of Wales. But he was also a bundle of contradictions. He was a shy extrovert. A no-nonsense sentimentalist. A mesmeric preacher who stammered. An apostle of healthy living who left pipes hidden in the bushes around his home in case the urge to smoke suddenly came on him when he was out walking. In public he fought for the rights of ordinary workers; in private he referred to the Irish as ‘white chimpanzees’. He was an enthusiastic hunter who once befriended a wasp he had saved from drowning. At the same time, he had some fairly constant obsessions, which rippled away underneath everything else he said and did. He was especially anxious about dirty water, and fought a long campaign for better sanitation. So did many of his contemporaries, of course, but for Kingsley clean water wasn’t just a matter of health or hygiene. Being clean on the outside was the first step to being clean on the inside. Or, as he put it in one of his sermons, ‘If you will only wash your bodies your souls will be all right’. In 1855 he published Glaucus, a guide to rockpools, named after the fisherman in Ovid’s Metamorphoses who grows a tail and fins and ends up living under the waves. For Kingsley he was something of a role model, because one of his own fantasies, when he stood on the beach, was ‘to walk on and in under the waves … and see it all but for a moment’. In one way his fantasy was bang up to date. That same year – 1855 – a French inventor was showing a diving suit in Paris that included a helmet fitted with portholes and heavy boots that allowed the owner to clump along the seabed at depths of up to 40 metres. But in another way, for Kingsley’s fantasy to come true he didn’t need science. He needed fiction. He needed to construct an underwater world out of paper and ink. Eight years later, with the publication of The Water-Babies, that’s exactly what he did. When little Tom slips into the river and becomes a water-baby, he also slips into a parallel world of storytelling, where he can leave his dirty body behind, like a snake wriggling out of its skin. It is like a baptism that changes him inside and out. Kingsley had created a hero whose life from now on was to be one long, happy, cold bath. Given how strange the story is, one might expect that its readership these days would be limited to historians and psychologists. Yet for such a small book it continues to have a surprisingly large cultural presence. There are films, adaptations and abridgements galore, not to mention dozens of modern parallels in novels such as Jacqueline Wilson’s Connie and the Water-Babies. In 1998 there was even a TV advert for Evian that showed some babies performing a complicated dance routine underwater. But why would anyone still want to read the original story? When I was writing the introduction to OUP’s new edition, this is the question that kept nagging away at me, and the best answer I can offer is closely bound up with my own childhood memories. Kingsley’s great skill as a writer is that he brings together absolute realism and absolute fantasy — two seemingly incompatible strains of thought that children love equally — and switches between them as quickly as someone spinning a coin. He describes the world as it is, and the world as it might look if the imagination was in charge, where if there is ‘sea-rock’ then why shouldn’t there be ‘sea-toffee’? Above all, he asks us to be surprised by parts of the world we usually take for granted: spider’s webs, fish scales, soot, even children. ‘Look, again, at those sea-slugs’, he writes in one of his early papers on the seashore, and that’s exactly what his own writing does. He looks again at everything, no matter how tiny or ugly or ungainly it is. He finds a kind of awe in the ordinary. Robert Douglas-Fairhurst is the author of Becoming Dickens (Harvard UP, 2011), winner of the 2011 Duff Cooper Prize, and he has edited editions of Dickens's Great Expectations, and A Christmas Carol and Other Christmas Books and Henry Mayhew's London Labour and the London Poor for Oxford World's Classics. 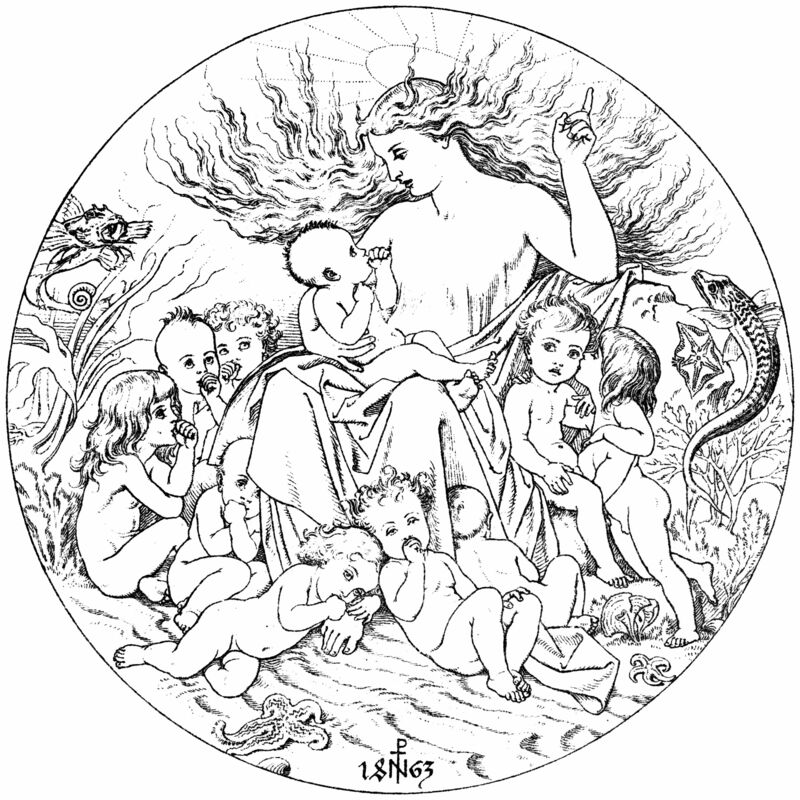 He has written the introduction and notes for the recently published The Water-Babies. He also writes regularly for publications including the Daily Telegraph, Guardian, TLS, and New Statesman.